Looking for sewer line repairs in Langston, AL? or new sewer line installation services? Rooter-Man provides all kinds of sewer line repair and replacement services. Rooter-Man has 40+ years of experience in the sewer industry. Our expert technicians and state-of-the-art equipment can solve any sewer line problems you may be experiencing in your home or your business. Sewer lines that are damaged or in bad condition can leak and cause soil contamination that is hazardous to the environment and your health! Broken sewer lines due to frozen grounds, or earth shifting. Conventional method- repairs or replacement of sewer lines are traditionally completed by digging a trench to get to the damaged pipe. This involves the usage of a backhoe to dig the trench. Trenchless method- sewer line repairs in some cases can be completed without having to dig up trenches. Having to dig up a trench can wreck sidewalks, streets, trees, and cause a lot of other inconveniences. Trenchless sewer line repair services offered by Rooter-Man of Langston, AL can make use of state-of-the-art equipment that ensures less environmental damage. Experts say trenchless sewer line repairs are equally durable and can last anywhere from 20 to 50 years. Pipe bursting- pipe bursting is a newer method of sewer line replacement that involves using a hydraulic pipe bursting machine to pull a new pipe through the old one while fracturing the damaged pipe outward. The replacement pipe is pulled through access holes created where the damaged pipe starts and ends. This method is usually employed to minimize damage to the area where the damaged pipe is located such as underneath a home, building floor, driveways, roads, and parking lots. 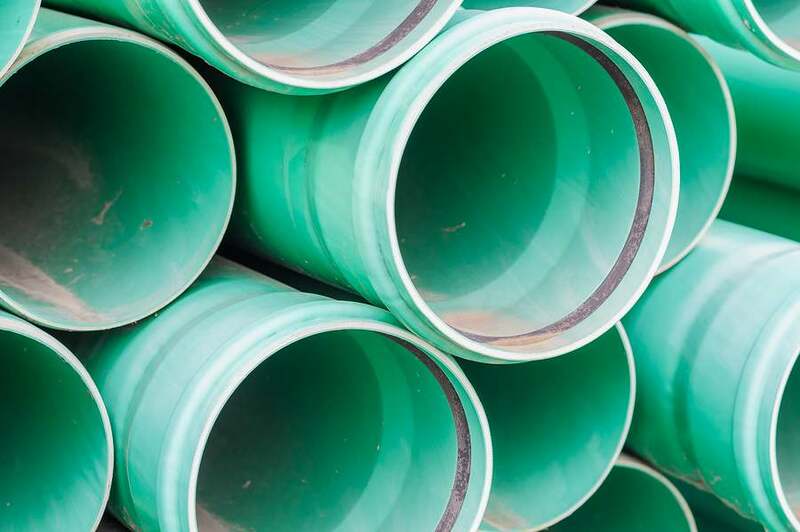 Pipe relining- pipe relining, also known as cured in place pipe, is a flexible tube coated with resin that is blown or pulled into the damaged sewer line pipe and then inflated. The resin hardens and creates a pipe within a pipe. Pipe relining will reduce your sewer line diameter by a quarter of an inch but this will not affect its capacity to move waste through it. Whatever your sewer line need to be repaired or replaced, Rooter-Man of Langston, AL will get the job done using whatever method is best for your individual situation.